Announced late last year, the Panasonic Lumix DC-G9 gives Micro Four Thirds shooters looking for a high performance stills-oriented camera another option. Previously, the Olympus OM-D E-M1 Mark II was more or less alone in its class, and remained unchallenged for over a year (unless you count the video-focused GH5 as a direct competitor). Even considering its age, the E-M1 II still fetches a $2000 body-only price, with the G9 undercutting it slightly at $1700 body-only. So how do these Micro Four Thirds flagships compare head-to-head? Take a look at our feature-by-feature breakdown. I've owned an E-M1 mark II for nine months and love it... apart from one thing. The camera randomly crashes and can only be revived by ejecting then replacing the battery. The problem is, I mostly shoot without using either the viewfinder or the LCD screen and don't realize when the camera is dead and that I am wasting my time's trying to shoot with a brick. On this basis I'd now choose the G9. any other E-M1 II users experienced the same crashes as fitzrovian? No, I never had this issue with my E-M1 mkII. I never had issues with this camera. The build quality is outstanding. I'm surprised value for money wasn't a consideration here. 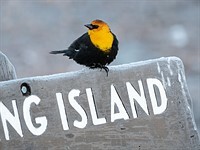 One costing 18% more than the other would seem a salient consideration when otherwise differentiating between the two comes down to "splitting hairs". Discounts on the E-M1 II are becoming common. Right now you can get one from B&H for $1699. Perhaps this is why value isn't mentioned. Have owned the M1 II for six months and tested a G9 for a week. 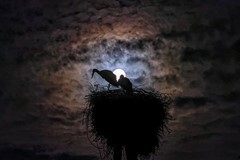 I am a bird shooter and my standard lens is the Oly 300mm f4. I found the Oly AFC performed better than the G9 with the 300F4. And while the EVF on the G9 is a bit larger the Oly has better clarity and brightness at the standard brightness setting. I cranked the G9 EVF to the max and it was still dimmer than the Oly with less clarity. I am also pretty sure the Oly has better battery life than the G9 . The 300mm F4 is a power hog. For BIF after some months of use my keeper rate has improved dramatically . I have found the 5 pt AF pattern works best in AF-C mode . I would say my keeper rate for BIF is equal to the 7DII w/100-400mm II but it took some practice and some slightly different settings to get to this point. Thank you Steve, very practical unemotional response. So I don't get hammered here I do own the G9 as well as the EM1MKII. I've been trying to understand when to use the 5 pt vs 9 pt zone focus. Can you explain? Thanks! Hello Steve that is a very sensible posting. I too own the EM1mk2 (and Mk1) and the 300 mm F4, and I am very satisfied with my gear. As you wrote, it takes some time and practise tp get the most out of it. Personally I use singe point, 5 point or all points (clear sky), preder to adjust AF-C sensitivity to situation (wish I ha access via SCP), and it seems AF-C generally performs better when shooting with 18 frames pr. second and AF-RLS off. At these low shutter speeds, I find that AF-C is superior to AF-S for still objects. The G9 seems to been an awesome camera too. I've compare shoots with the 7dii and the om1.2 and noise and dr favour the em1.2 too. I tried the g9 and the AF on the em1.2 was better with my olympus pro lens and the panaleica primes I have when it get dark. The dr and noise was very similar and I prefered the IS for stills from olympus. Didn't test the video mode. The 300mm F4 is in my list I mostly use the 40-150 with mc-14 but sometime I want more reach and feel the 300mm f4 would be perfect. Of course, you may have found a different answer using the Panasonic/Leica 200mm f2.8 as far as AF goes. You may want to check the buffer info. I believe the EM1ii's buffer is larger than the G9. Thank you for the article. Oh dear, more DPR 'click-bait'. Ho-hum! Isn't the conclusion absolutely, blinding obvious? They're both wonderful, clever, machines with minor differences. Yada-yada-yada. Want a more meaningful comparison? Take a look at the respective groups on e.g. Flickr and ask yourself whether and why the images (as a collection) differ. You'll need some actual insight into photography and photographers, not just cameras/lenses... DPR won't be any help. Spend some time on this and you may discover some things (maybe about yourself... ). Hey Buzz Killington, why are you here then? Some of us come to this site because we like reading about the gear. I own the em1.2 and tested the g9 and can't say this is clickbait. I don't agree with AF comparison but for the rest it's ok.
What make this clickbait ? I come here to see this kind of informations. I'm not sure how they could only get to 1/5 second at 200mm when 2 seconds is possible at 300mm on the Oly and does the Pani shoot RAW at 60fps? I saw no testing of burst shooting above 18fps & 20fps?? Push them to the limits pleeeeease. This comparison didn't mention that the Olympus EM1-II received a gold award rom DPR and the Panasonic G9 received a silver award. I think that should have been mentioned in the conclusion as it is a key difference in the detailed reviews. Is this meta-sarcasm? I cannot tell at all. I've had the Pen-F since it came out and last summer was shooting the Waterfront Blues Festival (for the festival organizers) and rented the M1ii. I loved the burst mode and many other features. But at the end of the day, I simply love the way my Pen-F handles and I'm holding out for the Mk II version of that. It handles like a modern version of my old Leica M2R that I had for years in the 70's. If I had an unlimited budget, I would get the M1ii, but I would rather spend the money on more lenses. I've also got a Pen-F -- but then purchased a very clean low shutter click E-M1 mark i. It's a wonderful camera and priced very right. Might check that out. My lenses go back and forth across the two bodies. Have been pondering a jump to MF43 from FF. Size, weight, and I am an enthusiast vs. Olympics 5 bodies, tethered instant feed to the news orgs type. 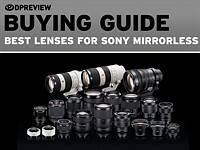 From a handling and IQ perspective when I read the lens reviews there is a jump back and forth as to which has the best lens for a particular focal length, etc. Picking the body that provided the best overall experience w/ the best IQ lens would be beneficial to me. I know lenses change, etc, but at the current moment, etc. What say you 4/3 shooters is this a legit question to be answered? I had been shooing Nikon SLR FE FE2 F3HP F90X F100, Pentex 67, Mamiya 6, Sinar 4x5 back in the film days. Jumped to Nikon DSLR D700, D3s and then jumped to MFT during the GH2 years and never looked back due to the fact that I only shoot family photos and casual photography so the GH2 served me really well. I am not a fan of shallow depth of field so the smaller sensor actually benefit my needs really well in that I can shoot wide open with high shutter speed (I have shaky hands by the way) and have enough depth of field. At the end of the day, it really depends on your needs. If your needs require carrying heavy and large gears then so be it. MFT had came a long way over the years and the system is really great at the moment in my opinion. Not just the lenses available but also the cameras are much better than years ago. It's a very broad question. You'd likely get more responses on the m43 forum if you asked about specific focal lengths. And so much would depend on how much size you want to tolerate and how much money you're willing to spend. There's a bunch of lenses that have very good reputations for IQ. For example, the PL 42.5 f/1.2 and new Olympus Pro 45mm f/1.2 are probably the best optically in that focal length range. They should be as they are considerably larger, and more expensive that lenses like the little Olympus f/1.8 and Panasonic 42.5 f/1.7 lenses. Both of these smaller and less expensive lenses are very well regarded but probably not the very best in that focal length range. You could make the same kind of statements about the 25mm lenses. Etc. I also use FF and m43 and went olympus em1.2 simply because their pdaf AF work with olympus and panasonic lenses while the dfd from panasonic works only on panasonic lenses. AF on pana body still work with olympus lenses but the speed is not the same. 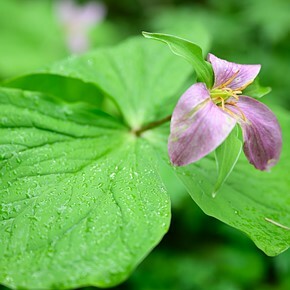 The lenses selections offered by panasonic and olympus are very good so I don't want to limit myself to only panasonic. Just ditched my Canon FF gear for the G9. Haven't felt the need to touch Olympus lenses although I did have to slap myself into not buying the Oly 40-150. All of the P-Leica lenses are superb. 12-35 and 35-100 are both very good as well. My bag is now half the size, considerably lighter and contains more kit! I was really pondering between these too, when I decided to upgrade my em5 a few weeks ago. Even the price was about the same, due to Olympus cahs back campaign. I chose G9 because, well I use Pana 100-400 a lot, and believed it would work better with the pana (dual IS etc). It did not work very well with EM5. I found the G9 a bit more interesting, with extra features, such as loading the battery through a Powerpack or in a car, 6K mode. But I have been extremely happy with all the _easy_ customizability it offers (on holiday, I set the front dial knob to shift between Raw/jpeg, for instance, and the zoom button for MF focusing on the other side etc.) It is surprisingly easy to use. It does not have live composition, which EM1 does. And btw, the large EVF allows me to use the camera with glasses (reqular & sunglasses) which was not possible, at least with EM5. So, for people wearing glasses, take this into consideration. But in any case I would be extremely happy with em1, both seem excellent cameras. 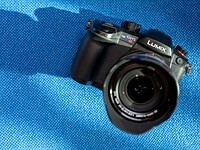 The Panasonic G series and GH series have many custom buttons which makes a world of difference in shooting experience. On the other hand, the Olympus MFT offers premium quality finishes which I like very much but when it comes to practicality vs nice looks, practicality always wins. Exaclty what I was so pleased with after upgrading from Em5, which I still own (great in the laptop bag with a 17mm 1.8). I am very sorry to say that EM1.2 Single AF and indeed C-AF have tendency to focus at the back or front seemingly randomly. 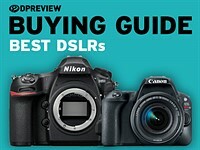 You, dpreview, have noted this in your own review. Now G9 I don't know but I do know my GH4 is much more reliable in S--AF and does not have this behaviiour at all. If G9 is the same, the G9 is the better focusser. Why no words on the Em1.2 since there is no FW update for this cam (which I own). All is the same as when you reviewed it. Also HiRes on the EM1.2 is really better implemented than the G9, which for landscapes etc and longer exposures can be a huge benefit. So may be quite niche in its use, but for someone like me a decider. 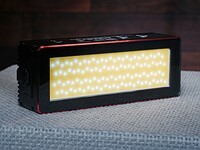 - HighRes: G9 uses the electronic shutter for this, so using strobes or flashes is not possible. Oly uses the mechanical shutter. - I have read a lot of reviews where the reviewer states that the live feed during an AFC shooting is jiggly (due to the DFD technology). 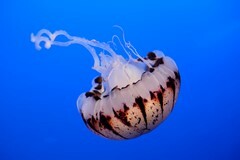 Although the results are formidable with usually 90% keepers, during shooting the user feels like nothing is in focus. You need to learn to trust the camera in this, instead of your own, real time, sight. 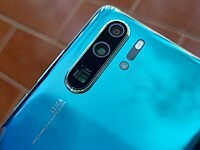 As I am not into video, the first three points push me towards the Oly, although I really like the button layout, the top LCD screen and the menu's on the G9. Procapture: sure but it works with all lenses, also Oly's. Oly Em1.2 does not work with any Panny lenses and I feel restricted. AF-c and AF-s: my Oly is seriously unreliable here and just focusses where it wants and that means out of focus pics (a lot!). I mean: I use the 9 cell grid and the cam just goes well outside of that grid. Noted in dpreview review too and considered seriously irritating. I second that. G9s jiggly AF is annoying yet accurate. I prefer that much more. ProCapture: You are right! I didnt think of that as I only own Oly lenses. I just remembered another flaw on the ProCapture: refresh rate of the viewfinder (and I guess also the LiveView) goes down while (pre)buffering. @PhilipposK The E-M1ii does not use mechanical shutter for HiRes mode, it only uses electronic shutter. Also, the G9's Pre-SH1 and Pre-SH2 do indeed generate RAW files. PhilipposK: I completely agree, certainly also on your last point. Why does it need so much tuning. And you can tune the hxll out of the Em1,2 but the focussing in S-AF is just not possible, with some exception. Like Face detection when the cam does AF correctly. But when you shoot other things then it can focus wherever it wants. I never have had that with my GH4. GM5 also does not show such behaviour. C-AF was alleviated too for surfers when I switched to C--AF+Tr. That went quite well! But for motocross I needed just C-AF and no tracking. Em1.2 is a very good cam, just need adjustments and that means the by now ooverdue FW 2.0. @whumber you are absolutely right about the sh modes. I was actualy referring to the 4k and 6k modes where you can extract stills. Apologies if my text was confusing. I was also wrong about the high res mode. Indeed the oly also uses the electronic shutter. I read somewhere that you cannot use flash during hi-res with the G9 and you can with the oly, sorry i made the conclusion the oly uses the mechanical shutter. Nevertheless, being able to use flash or not is a big difference in studio work. @josh I had the G9 and and E-M1ii side by side for a week and I still personally prefer the E-M1ii for stills but you really can't go wrong either way. Also, some people seem to be on a weird crusade about the E-M1ii's AF being garbage. I don't know if they have a broken camera or are just doing something wrong but there's some bizarre information being thrown around in this thread and I'd advise you to take their input with a huge grain of salt. @Whumber: may be, but my main problem is this with my EM1.2 "Unfortunately, the occasional back-focusing we noted in the bike test is present in the real world as well. The system is perfectly capable of impressive results, but will unpredictably fail and focus on the background a disappointing proportion of the time (this is all in C-AF while shooting 18fps bursts). If, however, you end up using C-AF + Tracking for subject tracking and firing off single shots at a time for candid portraiture and the like you'll find that it works incredibly well." This is from dpreivew review. Note that this happens in S-AF as well, it is certainly not restricted to C-AF sadly. Seems doable to eradicate this in FW. If this is arranged, the cam is fine with me. I can only say my GH4 never showed this kind of af errors. Certainly not S-AF. When you are used to this splendid performance the Em1.2 is quickly seriously troublesome. How G9 fares I don't know, might be worse as well. That statement is rather sloppily written but if you look at the original E-M1ii review it's very clear that they're talking about C-AF + Tracking, not regular C-AF. If you use a single AF point it's quite good. What you've been describing is something rather different. I'm not sure what's causing it but I've never seen anything like the issues you've described. It's quite possible your camera is just somehow defective. No, single AF is not quite good. It does the same thing: just focus outside the box where it finds the most contrast. That is my experience and again not just mine. It is taking Oly and awful lot of time to come with a FW 2.0. a bit disappointing to my mind. Because I think they should be able to improve on the AF part. If so, the cam is not wanting anything more. Now it is just unreliable. It seems hard to justify $1700-$2000 for a half frame camera (i use to own Olympus M43 cameras), where for the same price, you can get full frame. Pana is great for video, but just taking about stills. Priorities. If ultimate IQ is your requirement, a K-1 or D750 would make more sense for this price... but in terms of nearly every other metric, the G9 and EM1II far outperform those FF options. DDWD10 has it exactly. It's hard to stack up a D750 against either of these on a spec sheet and not frown. Resolution isn't even that different (20 vs 24mp) so you're really talking about base ISO dynamic range and high iso noise benefits of the 4x larger sensor FF against basically every other area of photography and video and handling. Image quality is really important no doubt but there are just so many situations that favor not wasting your money on sensor area you don't need. I chose M4/3 (jumped from Nikon) because they seemed best when you count price + size + lenses (price/quality) + speed . As a combination they seemed best for the money. And I have been very happy - I do have a D750 from work to play with, but I use it only for some portraits. For everything else Oly/Pana works better for me. I used to be in the same mindset though not vocal about it. Now I am starting to see some real advantages with the smaller sensor especially when I reflect on the type of work I am doing (food, travel and video). I have never gone below f2.8 on my apsc body. If I am ever in a low light situation for landscapes, I am always on a tripod. I can see FF being quite an advantage when shooting early morning wildlife but I haven't put myself in that field enough to justify FF over the advantages of m43 for what I mostly do. :D It will be interesting to see what sensor size I invest into when it comes time to upgrade from my old hat apsc camera. Thanks for all your comments. I was comparing more to a Sony A7 series (I have gone from Nikon FF - Olympus M4/3 to Sony A7 series) and it is nice to put another manufacturer's lens on the camera and keep the same. Another thing which Sony don't promote very well is play memories apps (yes it is a bad name). Apps like Sky HDR and Lens Compensation can be very useful. Yes you can do it in Photoshop, but less time on the screen and more behind the lens is always better (like the way photography use to be done). In film, Olympus half frame was comparable in price to FF. R&D, manufacturing and distribution cost do not decline when the sensor/film get smaller. Two peas in a pod really. I'll stick with Oly, not because I think it's better but because it's what I have. It's a given that a smaller sensor is always at an IQ disadvantage to a larger one but putting that aside, I don't see why m4/3 cannot match industry best AF. m4/3 matches or exceeds best practice in other respects but always seems to lag in AF. Why? It's a great question. I thought the EM1II was pretty decent when it comes to AF... Until I used a Sony A9. I get that those two are in a completely different price point and it's unreasonable to expect Olympus to have similar AF performance but it's not even remotely close. Even the A6500 beats the EM1II pretty easily. And Olympus has known this since it's release. I can remember them saying how much they were going to focus on improving the AF performance this firmware but there's nothing noteworthy that's come about in over a year. Perhaps because with a smaller sensor, focus, or lack thereof, is much more apparent for a given final image size compared to FF or APS-C. Greater enlargement factor. 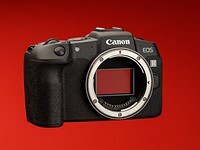 Even if it were true that the G9 was only playing catch-up to the EM1 II (I don't believe this to be the case, by the way), the fact that it was announced at $1699 as opposed to $1999 should have alone warranted a gold award. Or is value no longer taken into consideration? Not according dpreviews criteria for gold. You may not agree with their criteria, but they set the parameters. 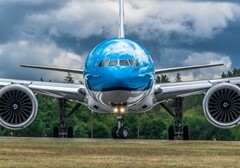 Fwiw I do think the G9 was playing catch up and they did a great job and even surpassed the Em1ii in several ways but they seemingly whiffed on an improvement of CAF performance which was what I was really hoping they'd nail. @Jorginho Touche. I mean in terms of usability there are several great things about the 6Dii, but it sounds like the sensor is actually worse than the original so I have no idea there. @Jorginho Wait, what? The 6D2 didn't even get any award, nevermind gold. Thank you for posting this. As an owner of a copy of both camera bodies, this is a useful post. If one is better than the other in something, I am good to go. Now as to the third variable, the shooter, well not much can be done about that. yep you can just keep practising! Also a tip would be to look at the master painters. Just viewing their work over a certain period of time will give your eye training for good composition and you won't need to rely on the rules. I don't think so. Clearly, one company sees itself as a stills camera company but wants to do credible video; while the other seems to see itself as a video camera company but wants to do credible stills. This seems to support the idea that both companies have a niche that they feel comfortable in. This is overwhelmingly the impression I keep getting. I'm far more into stills, so the Oly has always made sense. But Panasonic has been into video since 1981-their camcorders were class leaders for years esp. the 3CCD models-and that legacy seems to continue in their video feature packed GH line. As an aside, I own a Panasonic PV-GS400 and its 3CCD progressive scan video is really good. It actually downsamples from almost 720p to NTSC and the colors look great. It has a real Leica lens, too. It makes better looking video than the HD res hard drive only models (versus MiniDV tape) which replaced it. I still use it once in awhile.. wow, does a modern computer just fly when editing old school video! I shoot the larger SHG Olympus and Panasonic 4/3 lenses plus the larger m4/3 rd lenses always with the secondary battery grip on my EM1 MII. Why would I want to change to a heavier larger camera that cannot even shot half of my lenses properly? This article is a comparison for those that might be thinking of trying m4/3. I don't think it in any way suggests one should change from one m4/3 system to another. They are peas in a pod. If you still use 43 lenses, - which is Highly rare these days, then Clearly the G9 is not for you. That's a given. What a failed format. MrALLCAPS. The failure is you are forgetting the 4/3's lenses referred to are SWD lenses & other DSLR cameras don't do live view nicely with similar lens drive systems, unless done with PD-AF on sensor (like Canon's dual pixel sensors). You wouldn't of course. Clear advantage for the Em1.2 here. @Bofo777 the Whole 43 system was a failure. large Bodies, Lenses, Price and coupled with a smaller than competitors sensors Killed it, hence the move to Micro Four Thirds. And now they're returning to the same Issues Four Thirds was killed for. @Ross you mean those lenses that Olympus only recently discontinued? The ones from a doomed system? The ones that only a handful own? You gotta hand it to Olympus for being slick enough to included that in their latest cameras in order to pry every dollar they can from their diehard fan base, while trying desperately to clear inventory. Nobody with sense is going to buy old Olympus four third glass, for a new camera. I'm still using the Zuiko 50-200mm SWD on my E-M1 and it's not even a SHG. Occasionally I come upon some old amazingly sharp images and realise I took them with the Zuiko 50mm f2 macro and that was on a 10Mp sensor. I've since sold it. Bummer! I sold it because I wanted the m.Zuiko 60mm macro but didn't realise how good the 50mm was for normal 50mm shooting. Unfortunately Olympus (Sydney, NSW) refused to fix my 12-60 SWD lens saying they're no longer equipped to service them. Yes the early SWD linear motors were problematical. Got to admit they are pretty radical. I had them replaced on both my 12-60 and 50-200mm SWD. This article seems to lack the intellectual rigor and level-headedness I associate with dpr staff articles. The attention to detail is off and the priority of subjectivity above objectivity is uncharacteristic. This article is what I would expect to find on an advertorial blog. no mention about fisheye viewfinder and blurry evf in C-af ? apparently they don't repeat fake news spread by olumpus fanboys. you can say many things about fisheye, but only complete ignorant can claim it has pincushion distortion. It's not a big deal but the EVF absolutely does have very significant pincushion distortion. It doesn't take long to stop noticing it but it's completely delusional to claim it's not there. The blurry EVF issue is also not really an issue, certainly not like on the GH5. It might reduce in resolution slightly but I couldn't tell any difference even when I was looking for it. The EVF on the G9 is just flat out better than the one in the E-M1ii. @whumber - show me fisheye with pincusion distortion. Are you suggesting the link you provided is evidence against there being significant pincushion distortion? Yes, I am, but I pasted link for anyone interested to evaluate. Also, that's extreme case, because you never focus your vision on whole evf of this size, and you can also reduce size a bit and thus reduce pincusion effect (keeping full resolution). Can I ask what you think pincushion distortion means? There seems to be some terminology mismatch here. I was already happy with the focusing performance of my OM-D E-M1 Mk.1 but I'll upgrade in a few years for the video features when the price comes down. I can confirm that Panasonic's DFD technology on my LX100 is super fast, possibly the fastest focusing camera I own. But only works with their lenses, where as I own both Lumix and Zuiko lenses, including legacy Four-Third lenses. "both 60 fps and 120 fps refresh modes"
why wouldn't you want to use 120 fps always? Battery life presumably? Also I'm sure I read the resolution drops during burst shooting so maybe trustees are other p performance factors that would affect it. Without reading the review yet, my gut says for real world action like birding Olympus would do better. Panasonic will eventually dump DFD or at least dump it as the only AF. Already patented new PDAF system. If you'd bothered to read the review you would have noted that while the AF on the EM1-2 is generally preferred, but the G9's is 'better for fast moving subjects'. I wonder if you read replies? "Better for fast moving subjects" is a bit of a meaninglessly vague statement. Does that refer to speed of focus acquisition, approach speed of the subject, rate of acceleration? I spent about a week comparing the G9 and E-M1ii side by side and was very impressed by the G9. I can say from my experience for certain the G9 is significantly slower at acquiring initial focus in C-AF (at least with the lenses I tested) but that for a subject with a fairly constant speed it does extremely well, even when using a non-DFD lens. 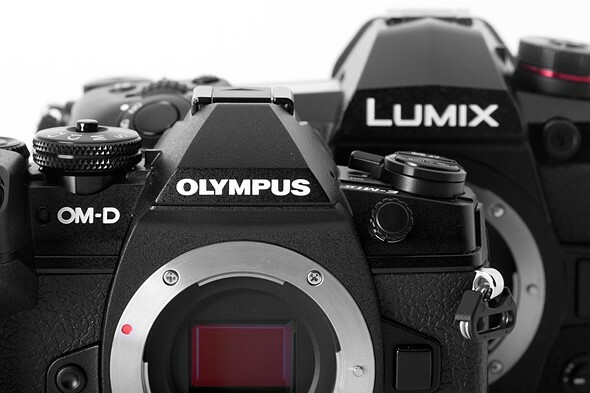 The OLYMPUS OM-D E-M1 Mark II has Live Composite feature which the Panasonic Lumix DC-G9 does not. awesome for those that need it. I'd expect it's a feature many folks would never use. But I agree that it's a great feature for many situations. Serious? Live Composite is what comes to decide a camera for you? It's sad. AF speed and accuracy, resolution, video quality,... there is not a thing that E-M1 Mark II does better than G9. Wait. There is not a thing that E-M1 Mark II is on par with G9. The feature set is pretty much on par so im splitting hairs. @Linerder - what's sad it is to dig up niche feature and claim this is a deal breaker, while dismissing key features like EVF, AF, video quality etc as "splitting hairs". Live composite is for very niche usage - with tripod. in that usage, bigger sensor is better, especially since you have a tripod anyway. Read my comment and look at the specs! I never dismissed the key features! FInd a friend or buy a dog and p!ss off! Perhaps your right, but it would be nice if you gave a decent and constructive response instead of writing useless and snide little remarks. I never dismissed any features, in fact they are so close that its the little things that make the difference and i clearly stated that in "my opinion", the Live Composite feature gives the Olympus a slight edge. Oh...one other difference: DP Review thinks the Olympus EM1 Mark II is fantastic and well deserving of a Gold award. Whereas the Panasonic G9 is just mediocre and gets a Silver. Geesh. Yes, you are wrong. You can use any micro four thirds lenses or adapted four thirds lenses on the Olympus. I never really got any answer regarding Panasonic focus stacking using adapted Fourthird AF lenses hmmmm. Asked various forums, no answer. Ah, my apologies! I didn't even see your mention of focus stacking. 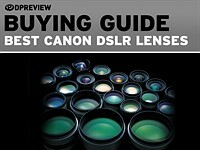 Just the part about lens compatibility. one wonders why. technical limitation? or just greed? Technical considerations are not incompatible with greed. These are companies that need to make a profit, after all. Tested both AF taking shoots in dark area with G9 and pana 35-100mm f2.8 vs the em1.2 with my 40-150mm f2.8 and the af speed and success rate is a lot better on the olympus. The difference is usable vs unusable when really dark. When you put a olympus lens on the g9 the AF suffer in speed a lot but when you put a pana or panaleica lens on the em1.2 the AF doesn't suffer any lost. Since I prefer olympus zoom and pro lens but I like small pana primes, going with the em1.2 make more sense to me. The G9 win in menu system and use of the touchscreen no doubt. The em1.2 in hand feel is better no doubt. I'm surprised with the IBIS comparison results, In hand 150mm seems a lot more reliable on the olympus than the panasonic at 100mm. I often use 1s exposition on medium telephoto with the em1.2 and couldn't get that on the G9. Maybe dual vs sync give different results but when using ibis alone in real life I'm really surprised the G9 gave you better results. Good grief! Neither camera is significantly better. This is like kids arguing about whose dad is better! I'd be thrilled to own either of these. The E-M1 II is better for those who own 43 lenses and those super expensive Olympus lenses. There are considerations in some subjective things like colour rendering, looks, size and handling, and particular needs for some users like G9's OLED EVF and LCD, that can be significant in an evaluation. In just about all other areas where there's a material difference, in terms of performance and features that are important to photography, stills or video, the G9 is the better camera. Olympus never lowered the price of its flagship model by so much. They know how good the G9 is. While DPR tried everything it can to make these two cameras about equal (except in the medals), Robin, Gordon, and many others clearly indicated otherwise. Olympus had the market cornered for 13 months before the G9 arrived. 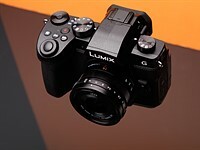 Given Panasonic had that time to build a better EM1mkII, one would expect the G9 to come out ahead. G9 is not so different than GH5. However Olympus fans put a sticker on it - "gh5 is for movie,s e-m1 2 is for stills" and that was wrong, because gh5 can do boith very well. To counter this, Panasonic released G9, that again, can do both very well. The G9 also has a 40K hi res option. Gordon Laing has done some comparisons and found the 80K choice adds little. The G9 has a couple of preburst options to compare with the Oly Pro Capture, one producing RAW files and the other using the 6K/4K photo modes producing 18/8 MP JPEG stills. I have the GH5 and the OMD EM1ii. The OMD EM1ii is a far better stills camera IMO. I’m guessing the G9 is pretty similar to the GH5 here. Using the 12-60 & GH5 and the 12-100 & EM1ii (or swapping), the AF is simply much better on the EM1ii. The EM1ii’s IS is a lot better, too. GH5’s contrast detect AF is a bit ‘hunty’ in real life, if you ask me. There doesn’t seem to be any mention of the 60 fps RAW shooting on the EM1ii here, or other great features like Live Composite. However, a given shot using either camera using the same settings, lens, etc, there’s not much in it. I’d much rather be in a storm with the EM1ii & the 12-100 than the GH5 & the 12-60. A single battery lasts much longer, on the EM1ii, too. The GH5 is a fuller video camera, I like it. However, the EM1ii is a ‘tighter’ travel package, is a lot better for hand-held video, & can pan beautifully on a long lens without the ‘lumpy’ sensor movement look that plagues many IS systems. Again, these are just my findings!! I don't get why are you comparing E-M1 II to GH5 and somehow based on that make a conclusion that E-M1 II is "far better stills camera" than a G9. G9 is a very different camera. It was designed as primarily for stills, while GH5 is clearly video-oriented. Maybe you should stop assuming and actually compare the two products the article is talking about before jumping to conclusions. Because as someone who has actually shot both, I can say with certainty: no, E-M1 II is not that "far better". They are very close and in some areas, such as EVF or C-AF performance the G9 is actually superior. I didn’t say the EM1ii was a better stills camera than the G9. I said I thought the G9 would be similar to the GH5 - as in the line at the start of my post "I’m guessing the G9 is pretty similar to the GH5 here". I jumped to that conclusion, head first, see? The Panasonic contrast-detection cannot focus as fast as the PD/CD of the EM1 in my real-world use. Just let me clear any doubt you may have: nobody has any clue what the hell you're talking about. Thank you Paul & nomoreheroes, I will do that. Andrew Elliott wrote something which is abundantly clear to anyone literate - his own comparison of the Olympus vs GH5. One may dispute with (i) his personal findings, or (ii) whether the assumption that G9 is similar to GH5 in certain aspects. But it is a useful contribution. So I personally have no clue what photomedium is about. Photomedium, my views are, first, do not presume to speak on others behalf, as clearly, more than one other person understands Elliott. Second, you need lessons about reading comprehension more urgently than camera reviews if you have trouble understanding. Third, there is something about your tone which reveals a disposition to be nasty to someone useful without a legitimate reason. Since lens-sensor interaction is supposedly so important in image quality, does either of these two companies do better with that interface? Does one or the other of the cameras have better corrected lens aberrations when used with its native lenses? "If you're very picky and base ISO JPEG rendering is a priority, we think the E-M1 II holds a slight advantage"
The G9 JPG rendering is much better compared to the EM1 mk2 IMO! The G9 has visibly much better detail and nicer colors too, even at base ISO settings. Does anyone in here own both cameras? What’s Your Thoughts? 1. In terms of stills image quality, they go toe to toe and I can't prefer one over the other. You can shoot pretty much anything with them and be satisfied with the results. Both go up to 3200 ISO without turning an image into a complete mess. 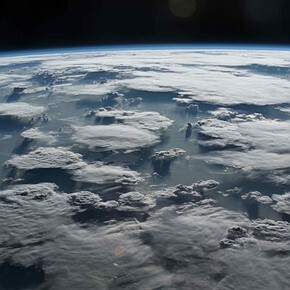 Both have very comparable dynamic range. 2. G9 is clearly superior in video department. Oly promises higher bit-rate but never achieves anything close to it. Even disregarding the 60 FPS (which I wouldn't), G9 handles motion in 4K better with its CONSTANT 150Mbps bit rate. 4. Build quality is very similar. I like the ergonomics of Oly a bit better, but maybe I just got used to it. However, my sample has the infamous "loose card door" problem. It's a well known issue and it really detracts from the otherwise solid feel of the camera. 5. S-AF is very similar and very reliable in both cameras. C-AF, however, is not. G9 it in scenarios where subjects move AND where they are still. Oly, however, is very bad at C-AF (and tracking) when used for relatively still subjects. It focuses a little too close. It's another known issues of E-M1 II that Oly hasn't even acknowledged. For bird photography I have to switch between S-AF for perching birds and C-AF for BIF with my Oly and I hate it. G9 doesn't seem to have this issue. 6. Oly has some really cool tools, such as Live Composite, Live Bulb and Live Time. Seriously, Live Composite just rocks. If you are into light painting or star trails, Oly rules here. 7. I hate the Oly menu. Over 1 year in, and I still get lost in it. Panasonic has a much better and more logical one. 8. Not the camera point, but still: new Oly lenses (PRO series) are FANTASTIC if you can afford them. I own the 25mm and 17mm ones and they are unbelievably good. A huge plus for me is the manual focus clutch, which is irreplaceable for videography. However, they aren't as good on G9, as its focusing system relies on Panny lenses heavily, which is a shame, because I can't stand focus-by-wire system of Panny lenses. 9. Hasn't shot the G9 in bad weather too much (since it wasn't mine), but I have abused the E-M1 II. It can take pretty much anything. 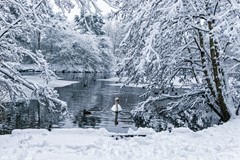 Rain, snow, freezing cold, tropical heat - just keeps shooting. It's the most rugged camera I ever had. G9 or M2 you prefer for stills?? I own both cameras now and can mostly confirm what Melchiorum reports here. Fact is I never really warmed up to the MKII body for a variety of reasons - small AF box for instance, ISO 1600 JPEGs have too much noise in my opinion, plus I feel a little let down from Oly since I believe several issues could be addressed by a good FW upgrade. For the last two weeks I shot pretty much exclusively with the G9 and the PL 12-60 and 100-400 and I’m very pleased with the results. Low light AF is indeed worse than the Oly, but other things are clearly superior as well. The Oly is however still a force with the 300 Pro, so don’t write it off just yet. What’s my bottom line? From the Oly MK I Version I bought a second body for backup when the prices came down at the time. I don’t see myself doing that with the MKII version. I think the G9 will do just fine as this 2nd body which each of them having unique strength and weaknesses. Panasonic definitely aimed at Olys flagship and I think they hit. @princecody, E-M1 II. I do some composite photography and I love Oly's Live Comp mode. Also because it has been through some hell with it and it never failed on me. Melchiorum, great comments. You should be reviewing cameras. Thanks for taking the time to write this. @SkiHound, you're welcome. Glad to be of help. Wait a second - 2 things. Doesnt the G9 also have a procapture? Where it pre-buffers some frames. Also, sure...the EM1 mark 2 COULD go up to 237mbps. But it's not a constant bit rate. Some Youtubers have reported bit rates of only 100mbps or even less. I think it is called pre-burst in the Panny. I believe youre right. I'm just concerned that the author of this made no mention of it. And also didnt mention at the least the 150mbps on the Panny is CBR as opposed to a VBR. @Dave, you are absolutely right. Being an owner of E-M1 II from day 1 and shooting it extensively, I have never (and I mean NEVER) seen its bit rate in video go to 200. Actually, I am not sure I have ever seen it do 150. Pretty much all the time it hangs around 80-ish Mbps and doesn't go beyond 100 even with a lot of motion going on in the frame. I love the camera for what it is, but its 4K isn't nearly as good as the one G9 offers. I have tested the G9 several days ago and got super-envious of its video capabilities. Oly's video craps itself in scenes with lots of moving detail, such as grass blowing in the wind or water surface rippling, while G9 renders such scenes just fine. Not to mention the ABYSMAL auto-focusing of Oly in video mode as opposed to a pretty usable one in G9. It's a terrible article all around. It omits important information, passes judgement based on spec sheets and even presents the information that's plain false (the EVF in Oly isn't OLED, it's an LCD). You're right on both counts, I've edited the article to reflect this. Thanks for pointing these things out. Have you made a new AF test with E-M1 latest firmware, or you are just referring to a year old test? I guess Olympus could get better since that time. Does anyone have any real-world information on the level of weather sealing for the G9? The EM-I MKII has been thoroughly soaked, without damage, in countless reviews and online tests. But I haven't seen the same for the G9. Does anyone have any 3rd party test data, formal or informal, to show that the G9's up to that standard? The Pany G9 is similarly sealed, but obviously doesn't have the year+ of proof "in the wild" that the EM1ii has. The various Pany weathersealed cameras going back several years have all handled rain & splashes well, but Oly was the original "king" of that category in m43. When comparing JPEG output of Olympus E-M5II ans Panasonic G85 I noticed that high ISO low light JPEGs out if Olympus were way way better. Are you telling me that with these two camers it's the other way around? They did change the JPEG rendering on the G9, and some people claim it was a big positive change. Since it's a matter of taste, I'd suggest you get a sample before you believe it. 1. The G9 has USB charging, so I can charge it from a multi-outlet charger alongside my other devices and top it up from a portable charger if needed. 2. The G9 maintains a Bluetooth low-energy connection to my iPhone for instant geotagging of images. No need to record a separate track log and merge later. The E-M1 II lacks Bluetooth entirely. The biggest reason that keeps me away from Panasonic is their color. Somehow blues are magenta-ish, read are strange. 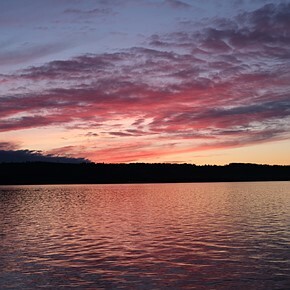 Especially sky color is so bad that you may not be able to correct it in post-process. Olympus color science looks better to me. It isn't life-like but colors are much more pleasant than Panasonic. I have used GF1, GF2, GF3, GM1, GM5, GH3, G5, G6 and G7 before. I hope Panasonic has imroved their color response in GH5 and later. "I hope Panasonic has imroved their color response in GH5 and later." You will be happy to know that they have. It is all personal preference as to which colours you prefer the panasonic is more accurate wether you like it or not is subjective olympus over saturate and greens look a little off . Do you shoot JPEGs? That has changed in the G9. The sensor is (almost) the same (Sony sensor) in both of these cameras, so the RAW colors are not an issue. almost certainly raw ,sort of notice the difference when you apply camera profiles in lightroom that i assume simulate colours you get in your jpeg settings the panasonic standard is very close to adobe the oly is not close to the adobe when profile applied ,but yes in raw almost any colours can be matched . but they are different sensors the g9 has no phase detect pixels on it. I haven't checked out the G9 but the GX9 Jpegs look really good, which was definitely the achilles heal for Panasonic. They are making real positive strides in their Jpeg processing and the monochrome modes in the GX9 are really outstanding. I'm still sticking with my Fuji but Panasonic is looking a lot better. How can Dpreview not rate the G9 Gold? It outperforms the M2 in every aspect except grip?? G9 is newer so needs to do better to get Gold award. When Olympus had gold it was a lot ahead of the competition. G9 is more like catch up. 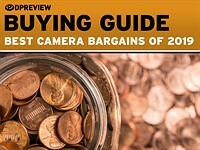 It is still very good camera, but no reason for a gold at a current price point. I love DPR for the forums but I tend to ignore the "reviews" now-a-days, sad to say. My opinion is that Sony can do no wrong here whereas Panasonic (Sony's competitor in pro video) have to struggle to gain praise. So not too surprised at the Gold vs Silver ratings recently. And even this "review" is riddled with bias. Sad. Does it make sense (especially on an Amazon owned site) that when one wants to buy one of these NOW he is presented with a Gold vs Silver summary. That's the bottom line. The G9 would have gotten a Super-Platinum-Diamond Award ... had it come out in 2014. 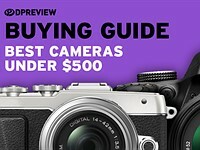 It's 2018 now, and while it's a great camera, it's just now joining the field of great cameras that are already available for sale and have been for a year or more. I don't disagree but when someone wants to buy a high end MFT camera and sees DPR has said one is Gold and the other is Silver then what does that imply? It's as basis as that! In all seriousness, I'm sure that you're right, that some people will look no further than that rating. OTOH, they're not going to be disappointed with either one of these cameras. What are you talking about? Booth GH5 and GH5S have gold awards recently, are you taking into consideration that G9 can be not that special right now? Or maybe a similar case to RX100M5, yes great camera but so pricey that for the same amount of money you can get better options? Panasonic's latest firmware update for its GH5S, GH5 and G9 series of cameras was leaked in Japan earlier today and is now being officially announced a week early. But don't get too excited – you still won't be able to download it until May 30th. The Panasonic Leica DG Vario-Elmarit 50-200mm F2.8-4 is a powerful - and portable - telezoom for Micro Four Thirds cameras, providing the equivalent of a 100-400mm focal length range. See how it performs in our sample gallery from Yellowstone National Park. Panasonic interview: "Our business philosophy is based on 'changing photography'"
At this year's CP+ show in Yokohama, Japan, we talked in-depth with Panasonic about the company's new Lumix G9 and GH5S cameras and its increased emphasis on stills capture as well as high-quality 4K video. At last month's CP+ show in Yokohama, we met up with Shigemi Sugimoto, head of Olympus's imaging business unit. He explained where he sees the most opportunity for Olympus, and how his company will continue to differentiate itself from the competition.